Plain unattended Photo Booths are a thing of the past. 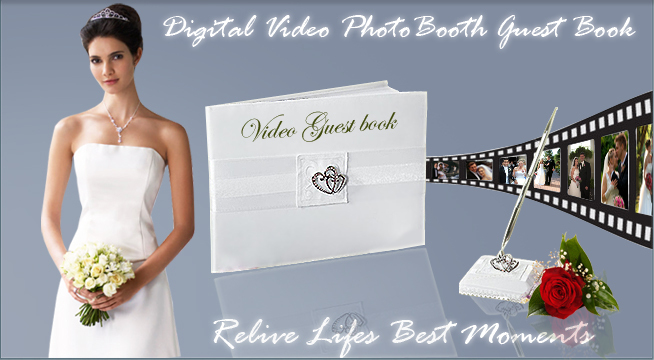 At Memory Maker we have an revolutionary new class of service that meshes a Photobooth and Videobooth together. We enhanced both offerings resulting in unprecedented quality. What makes us different from traditional, "set it and forget it" booths is our service. Our attendents are trained to encourage and elicit the most memorable wedding toasts from your guests. They capture the emotion and essence of the event. Edible Wedding Party Favors, Disposable Cameras, Wedding Guestbooks, Wedding Thank You Cards, and even a Bridal Videographer are a thing of the past! Be part of the emerging bridal trend! Rent one for your reception. Services offered and prices are based on location and availability.